Mr. George Gulashvili received his BS and MS degrees in Mechanical Engineering from Georgian Technical University in 1993. He started his professional career in 1993 at Research Institute of Georgian Technical University. In 1994-1996 Mr. Gulashvili worked at corporation Malula and Georgian Times newspaper. In 1997-2000 Mr. George Gulashvili founded: InfoService, PressInfo – a press distribution agency and Tao – a publishing house. In 2004, together with his American partners, Mr. Gulashvili founded Caucasus Auto Import and served as a director till 2009. In 2004-2014 Mr. George Gulashvili and his partners founded several companies, which formed Caucasus Business Group in 2014. 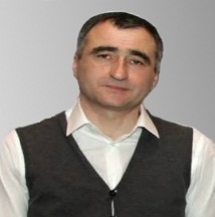 From 2014, Mr. Gulashvili is a member of the Supervisory Board of Caucasus Business Group.